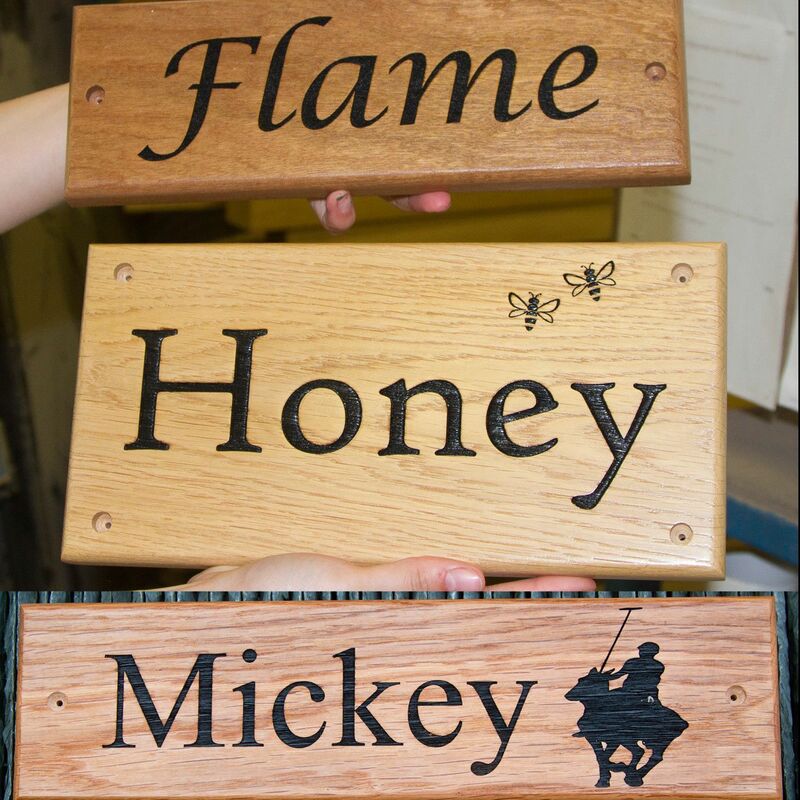 Beautiful stable name plate made from oak, this material creates a very smart sign, perfect as a gift or to make you stables that step more smart. Oak is a hard, heavy and durable hard wood. Although generally having a coarse straight grain, it can have wonderful variations in grain, texture and colour and small pin knots and burrs are an attractive and acceptable part of its appearance. Price includes up to 6 letters. You can also add one of our standard images at an additional cost of £4.95.